Moeen Ali and Jack Leach shared seven wickets as England win by 211 runs. England wrapped up victory comfortably on the fourth day against Sri Lanka, with Moeen the standout, claiming four wickets. They struck regularly throughout the day, and though Sri Lanka’s batting performance was an improvement on their first innings effort, England were never unduly troubled. It was the first wicket which proved the hardest to get, and Leach who provided the breakthrough, drifting one into Kaushal Silva, who missed a sweep and was struck on the pad. Dimuth Karunaratne then drove one hard back to Moeen Ali, who clung on for his 150th Test wicket, and England were in amongst it. Dhananjaya de Silva was next to go, edging Ben Stokes to Joe Root. It was the only wicket to fall to a seamer in the innings, and the combative all-rounder very much earned his scalp, keeping up the pace during a lionhearted spell. Kusal Mendis and Angelo Mathews both looked good, but each fell to spin either side of fifty. Kusal fell attempting one big stroke too many and swiping to Moeen, before catcher turned wicket taker, coaxing the ex-skipper into prodding ungracefully to Jos Buttler at midwicket. Mathews had made his second half-century from the game, confirming his status as his side’s premier batsman. 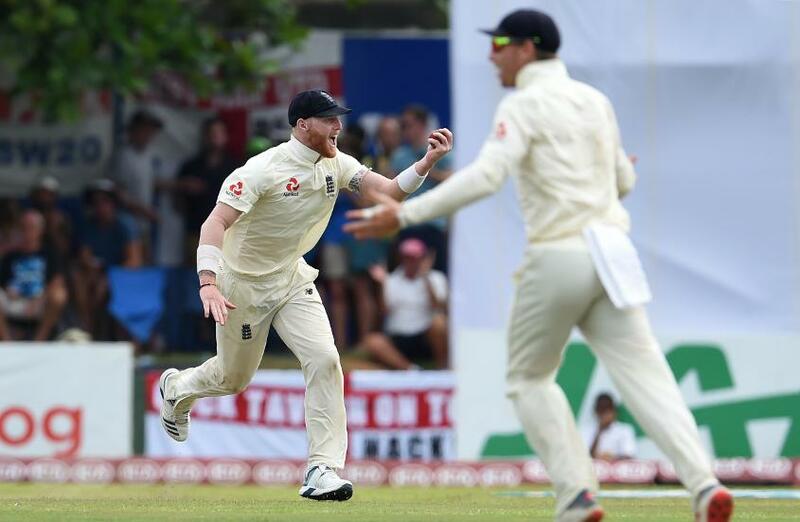 In between, Leach had bowled captain Dinesh Chandimal with a gripping beauty, and Moeen had enticed Niroshan Dickwella into edging to slip, where Stokes took the first and best of his three catches, making up for an easier chance he’d dropped earlier in the day. The same combination accounted for Akila Dananjaya, who was forced to play and could only edge, before Rashid got in on the act, another excellent ball finding Dilruwan Perera’s edge. In walked Rangana Herath, for his final actions in Test cricket. His stay was almost a short one, but he was reprieved on review, having been given out well caught down the leg side by Ben Foakes. It was eventually the debutant who accounted for Herath, a good pick-up running him out by a frame. For Foakes and England, it capped off a wonderful, and wonderfully unexpected performance. For Sri Lanka, it left them with plenty of questions, about how they’ll replace Herath, why their batsmen couldn’t kick on from starts, and why England adapted better to conditions than they did. The second Test starts on Wednesday 14 September.